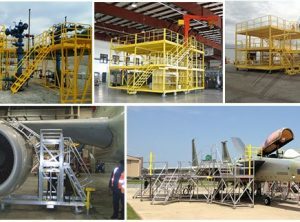 Advanced Ladders specializes in Standard and Engineered Access Solutions (EAS). 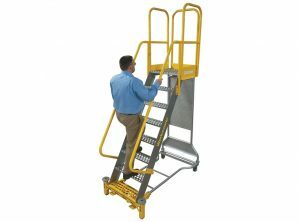 Standard Access Solutions commonly include Rolling Ladders, Work Platforms, and Fixed Access Ladders. Engineered Access Solutions are developed after careful assessment of the access need and working together with leading industry manufacturers. 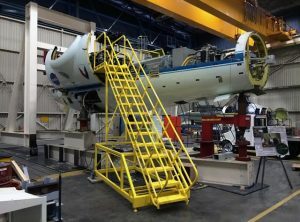 We’ve been Boeing’s Supplier for custom EAS and ladders for over 10 years. Most EAS products are made to order and involve a lead time from production to delivery. Please take a look at the below catalogs and call us at 1-888-520-0200 regarding any Standard Access Solution you are interested in. We’ll get you a price and freight quote. If you have specialized access needs and need an Engineered Access Solution, please feel welcome to contact and discuss it together with us.